Tecno N3 comes with a modern smartphone features, but cannot shell out the huge cash required to buy smartphones. With an 800MHz processor and Android 2.3 inside, Tecno N3 is by no means cutting edge, but there is enough in this smartphone to appeal to the target audience. 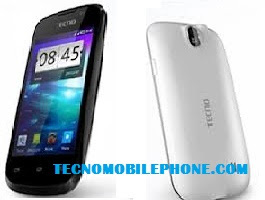 Tecno N3 is for entry consumers who are buying a smartphone for the first time and are low on budget. You can download over 600,000 apps at the Google Play Store for your entertainment, news, productivity, and education.